Two large countries in South-east Asia confronted Google and Facebook recently, and won - or so they claimed. Vietnam's communist government declared that both Internet giants agreed to work with it to remove 1,500 "toxic" videos and other fake information that is online. Thailand's military government, after initially threatening to shut Facebook down for not removing 131 posts believed to be insulting to its monarchy, announced later that the posts had been removed. Neither claim has been verified by Google and Facebook, since neither company releases real-time data on content removal, and both declined to comment on The Straits Times' specific queries on these incidents. The bluster, however, underlines the fact that regional governments are becoming more assertive in their dealings with social media companies as they police their patch of cyberspace. Public data on government requests to Facebook and Google indicates South-east Asian governments as a whole are leaning more on these companies to restrict online content or provide user data. Facebook's data on government requests only goes up to last December, while Google's ends six months before that. Thailand skews the regional scales with the sheer volume of its requests. In the first half of last year, it asked Google to remove 1,192 items from its platforms, the bulk of which were on its video-sharing portal YouTube and categorised as "government criticism". In 2015, it asked Google to remove 1,566 largely similar items. In most of the cases, Google complied. Over the same 18-month period, Indonesia came a distant second - it requested the removal of 177 items - related to reasons such as obscenity, harassment, government criticism and defamation. Vietnam asked for two items to be removed, including for defamation. On Facebook, Singapore has sought the most user information, requesting data from 490 accounts last year largely for what is classified in Facebook's report as "legal process". About half of its requests were met to some degree. In a region run by a range of democracies and dictatorships - some of them grappling with political intrigues, communal tensions, rural-urban disaffection and terrorism - there is no definitive standard of illegal content. Observers have alleged that political dissent is being restricted under the guise of curbing hate speech and fake news. While the Philippines, which is fighting Islamist militants in its south, has called on Facebook to close 63 accounts used by terrorist groups and their supporters, Vietnam wants the social media giant to deal with accounts spreading information against the state. Under Vietnamese law, "conducting propaganda against the state" is punishable with a jail term of up to 20 years. South-east Asia is a thriving market for social media companies. Just under half of its combined population is still not connected to the Internet, even though the number of users grew by 30 per cent - or 80 million - in the year to January, according to research by social media companies We Are Social and Hootsuite. In youthful countries like Cambodia and Indonesia, the number of Internet users jumped 43 per cent and 51 per cent respectively over the same period. However, with governments increasingly adopting or interpreting laws to rein in cyberspace, the expanding reach of social media may not actually widen space for expression, say observers. 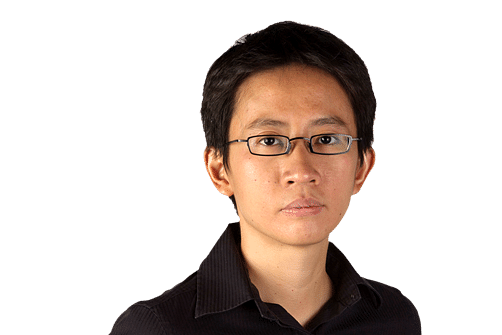 "Four to five years ago, (the Internet) was still an alternative space for people," Mr Edgardo Legaspi, executive director of South-east Asian Press Alliance, tells The Straits Times. "Now it's being increasingly restricted." Mr Naveed Haq, the Internet Society's regional development manager in the Asia-Pacific, says this is a global trend that is expected to persist . "Social media platforms will continue to get more stringent directions from governments." Yet governments should also be transparent in determining what constitutes illegal online content, he adds, in order to harness the full potential of an Internet increasingly fused into daily existence.